Keiser University is celebrating spring commencement on campuses in communities throughout Florida over the next several weeks. 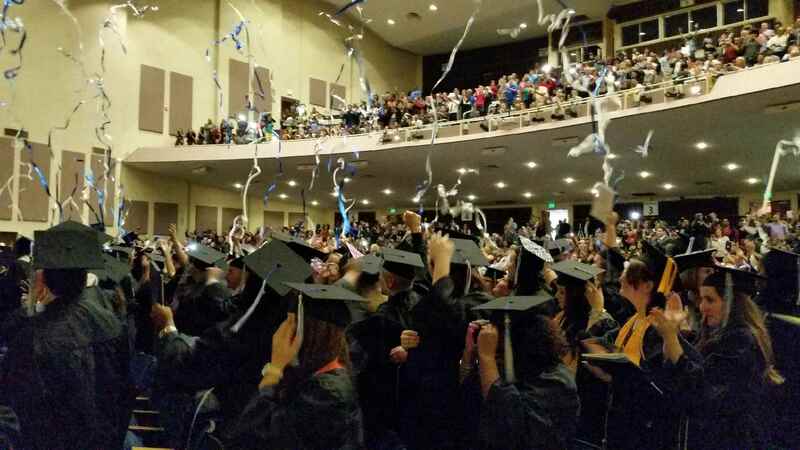 Approximately 3,000 students will cross the stage to accept their degrees in front of their proud families, friends, faculty, and campus staff during various ceremonies among Keiser University’s 20 campuses. KU’s Flagship campus at West Palm Beach will kick off the commencement season with Lt. Gov. Carlos Lopez-Cantera and Florida Senator Lori Berman addressing the graduating class as the keynote speakers. The ceremony will begin at 11 a.m. May 2 at the Flagship Campus Student Life Center on 2600 North Military Trail in West Palm Beach. Keynote speakers for other campus ceremonies in May and June include U.S. Rep. Darren Soto; Florida Sen. Kelli Stargel and Perry Thurston; and Florida Reps. Wengay “Newt” Newton, Dan Eagle, Tom Leek, Erin Grall; Hillsborough Co. Com. Ken Hagen; West Palm Beach Com. Kristina Lambert; Pembroke Pines Mayor Frank Ortis; Maitland Mayor Dale McDonald; and former Jacksonville Sheriff Nathanial Glover who is currently president of Edward Waters College. Several other dignitaries have been invited for ceremonies in June. Along with the keynote addresses, each graduating class will also hear from a student speaker, and awards will be presented to class valedictorian and salutatorian. For more than 40 years Keiser University has been a talent development leader in Florida, offering over 100 doctoral through associate degrees in workforce shortage areas in Florida’s targeted industries. Keiser’s “students first” philosophy combines foundational skills, leadership preparation, financial literacy, student support services – including tutoring, writing and math labs. Campuses throughout the state provide convenient scheduling options for students, many of whom are working adults. KU Flagship campus, 11 a.m. May 2, Student Life Center at 2600 North Military Trail, West Palm Beach, FL 33409, with Gov. Carlos Lopez-Canter and Florida Senator Lori Berman speaking. KU-West Palm Beach, 6 p.m. May 11, Palm Beach County Convention Center, 650 Okeechobee Blvd., West Palm Beach, FL 33401 with West Palm Beach Commissioner Kristina Lambert speaking. KU-Sarasota, 11 a.m. May 12, Bradenton Area Convention Center, One Haben Blvd., Palmetto, FL 34221, with Florida Rep. Wengay “Newt” Newton speaking. KU-Latin America Campus, 10 a.m., May 12, National Theater, San Marcos, Nicaragua. KU-Lakeland, 7 p.m. May 16, RP Funding Center, 701 West Lime St., Lakeland, FL 33815, with Florida Senator Kelli Stargel speaking. KU-Orlando, 6 p.m. May 18, Orlando Baptist Church, 500 South Semoran Blvd., Orlando FL 32807, with Congressman Darren Soto speaking. KU campuses in Tampa, New Port Richie and Clearwater combined commencement, 7 p.m. May 18, Grace Family Church, 5100 West Waters Ave., Tampa, FL 33634 with Hillsborough County Commissioner Ken Hagen speaking. KU-Pembroke Pines, 7 p.m. May 18, Charles F. Dodge City Center, 601 City Center Way, Pembroke Pines, FL 33025, with Mayor Frank Ortis speaking. KU-Tallahassee, 6 p.m. June 1, Christian Heritage Church, 2820 Sharer Rd., Tallahassee, FL 32312 with 100 graduates. Congressman Neal Dunn has been invited as keynote speaker. KU-Fort Myers, 7 p.m. June 1, Lee County Civic Center, 11831 Bayshore Rd., North Fort Myers, FL 33917 with Florida Rep. Dane Eagle speaking. KU-Daytona Beach, 4 p.m. June 2, Calvary Christian Center, 1687 West Granada Blvd, Ormond Beach, FL, 32174 with Florida Rep. Tom Leek speaking. KU-Port St. Lucie, 7 p.m. June 8, Port St. Lucie Civic Center, 9221 SE Civic Center Pl., Port St. Lucie, FL 34952 with Florida Rep. Erin Grall speaking. KU-Fort Lauderdale, E-campus and Graduate School, 11 a.m. June 9, Broward Center for the Performing Arts, 201 SW 5th Ave., Fort Lauderdale, FL 33312. Florida Senator Perry Thurston speaking. KU-Miami, 10 a.m. June 9, Watsco Center, 1245 Dauer Dr., Coral Gables, FL 33146. FL House Speaker Designate Jose Oliva has been invited to speak. KU-Melbourne, 2 p.m. June 9, King Center for the Performing Arts, 3865 North Wickham Road, Melbourne, FL 32935. Florida Rep. Rene Pascencia has been invited to speak. KU-Jacksonville, 6 p.m. June 22, Jacoby Symphony Hall, Florida Times Union Center, 300 Water St., Jacksonville, 32202 with Nathanial Glover, president, Edward Waters College speaking.